At Webdrips, we leverage powerful web content management systems to help organizations solve their complex business problems. By working closely with you, together we will design a customer journey that promotes growth, creates opportunities, and reach your goals faster and easier. We create digital experiences, repair broken websites, and support and maintain Drupal websites for you and your customers. Our team is passionate about the outcome of your business needs and budgets. We promise to help you continually optimize your online business platform. We love what we do, and it shows. We understand every business is different and needs features that are critical and unique to each website’s purpose. Our team of Drupal developers have over 20 years of combined web development, design and strategy experience and have worked with a variety of content marketing and eCommerce strategies. Through our in depth site evaluations and strategy sessions, we help you determine which Content Management System and design is best suited for your business. We believe in transparent discussions and work with you to come up with most practical and simple solutions to meet your goals and budget. Webdrips is dedicated to delivering phenomenal Drupal-based websites and services, based on best practices for Drupal theme and architecture development, configuration, and integration. Through our discovery process, we work with client teams and stakeholders to establish business priorities. Our goal is to allow you to focus on the big picture: your business. We provide the solutions to your technical challenges. Our approach is to review these challenges and objectives, while considering your timeline and stakeholder input. Once we understand all of these realities, we we'll present you with a best-in-class solution. We use a transparent Agile process with development, test, and production sites. You'll always know exactly where your site stands in the development process. We'll sit down with you to form a plan and course of action to help you conceptualize your ideas, focus on a direction, and implement it across your organization. We listen to you, get to know your team, and learn your business needs. Project team, tasks, requirements and roadmap. Webdrips was founded in July, 2011, by Dan Harris, CTO, who also serves on the executive team, and still has day to day working relationships with our clients. Getting our start from our close working relationship with Stanford University, we've since expanded to implement successful business platforms for a variety of industries and organizations such as Life Sciences, Higher Education, Government, Technology, eCommerce, and Business Services. 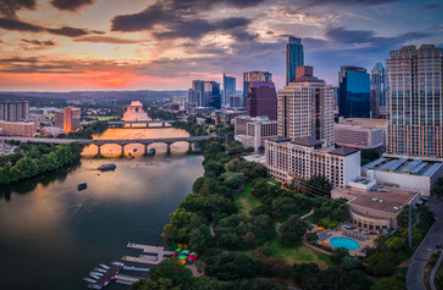 We have headquarters are located in beautiful and sunny Austin, Texas, with offices in San Jose, California. Dan has a background in engineering, with over 20 years professional experience across multiple high-tech industries, and over 10 years of Drupal web design and development experience. Marie has over 15 years in digital marketing, and 7 years running digital agencies that focus on helping medium to enterprise sized organizations discover and enable their business potential. Answering the question "What is Drupal"?